Did you know August is Rum Month? 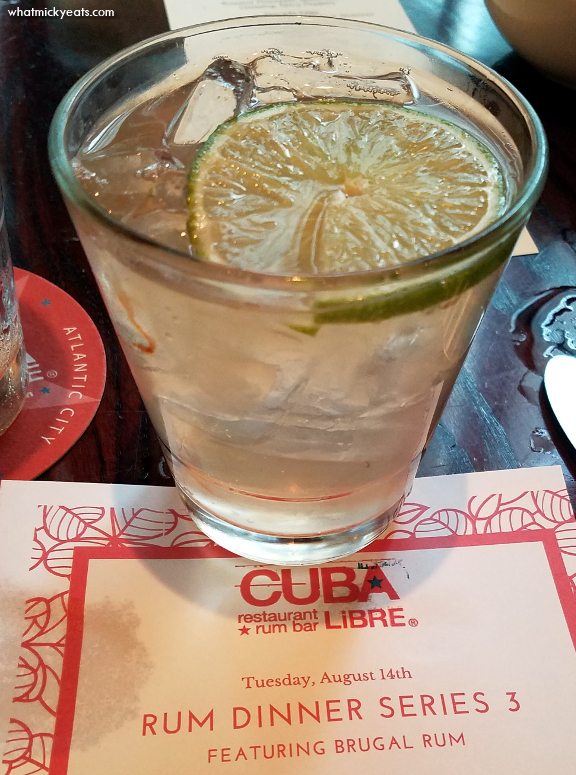 We recently attended a rum dinner featuring Brugal Rum, which is produced by Brugal & Co., C. por A in the Dominican Republic at Cuba Libre Restaurant & Rum Bar. The evening began with cocktail hour featuring light bites and a Brugal Mule with Brugal Añejo, ginger beer and fresh lime juice, followed by a seated dinner in a private room with food, more rum cocktails, and rum tasting. The five-course dinner, prepared by newly appointed Executive Chef Pablo Catalan, included dishes paired with Brugal’s finest rums. Standouts featured for the evening include Añejo, Extra Dry Supremo, Extra Viejo, Brugal XV as well as Brugal 1888. 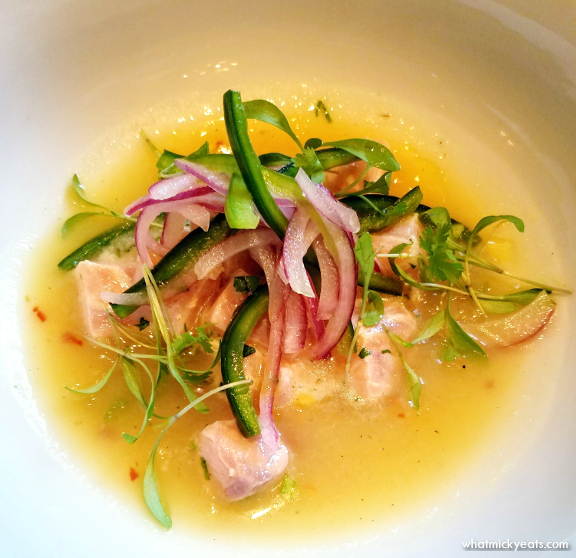 For the first course, we ate Salmon Ceviche with roasted pineapple sauce, citrus dressing and spicy peppers. The fish was fresh and the pineapple sauce was sweet. 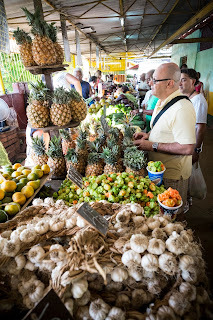 Paired with the classic Grog made with Brugal Extra Dry, soda water, honey, and lime juice, this was a great starter. 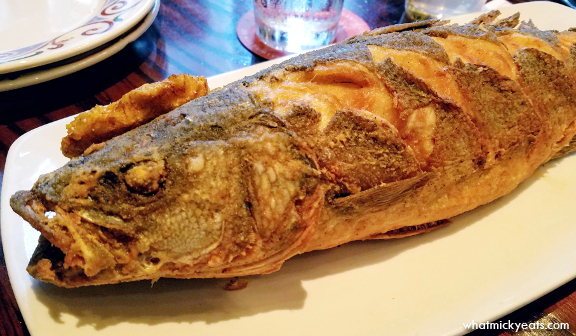 The Pescado Frito - classic tostones, served with coconut rice and summer salsa was an amazing presentation of a whole fried fish, which was tender with the chunks of fish falling easily off the bone. The was one of our favorites dishes of the night. 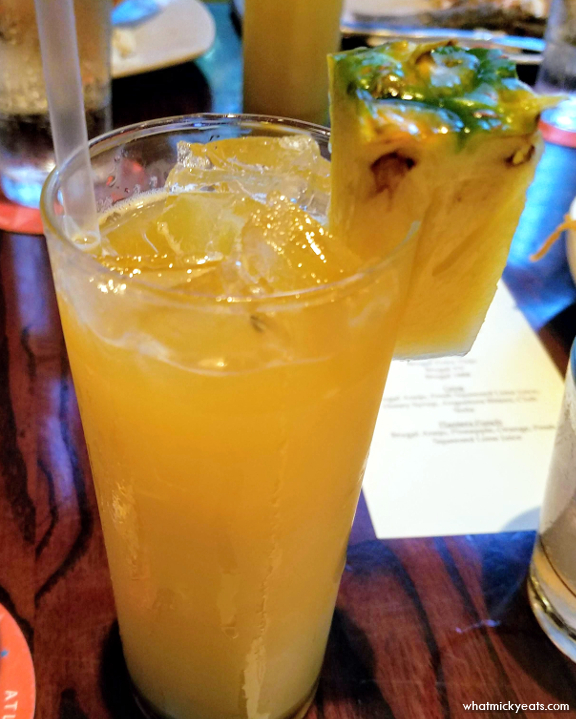 Paired with a Planters Punch made with Brugal Añejo, bitters, pineapple juice, orange juice, and lime juice. I liked this fruity cocktail because it was not overly sweet. 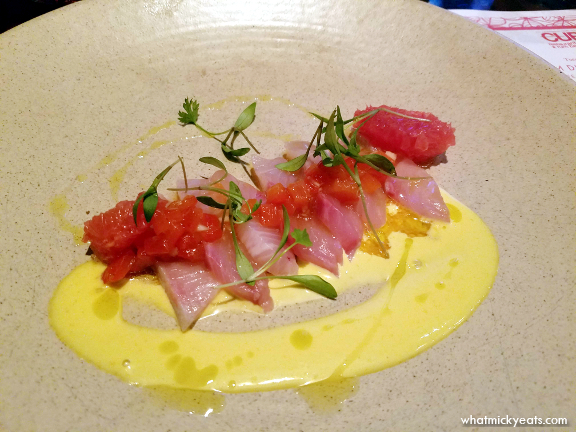 I really enjoyed the Kanpachi Tiradito with aji amarillo aioli, roasted red peppers and grapefruit. 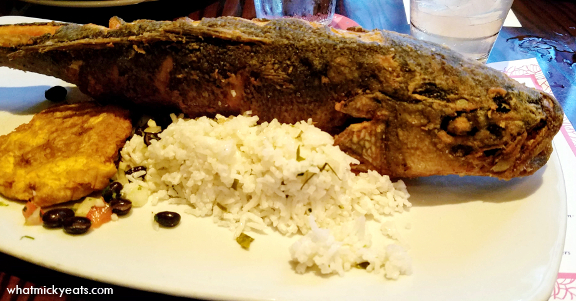 Paired with Brugal Extra Viejo served neat, the fish was incredibly fresh and the aioli had the perfect amount of spice. 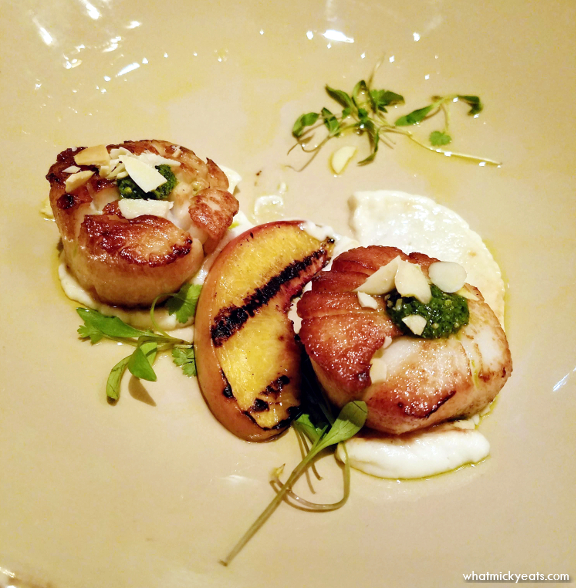 Pan Seared Scallops with grilled peaches, toasted almonds and lemon-herb sauce was paired with a neat pour of Brugal XV. This spirit was smooth and a bit fiery to me, but was a favorite of others at our table. 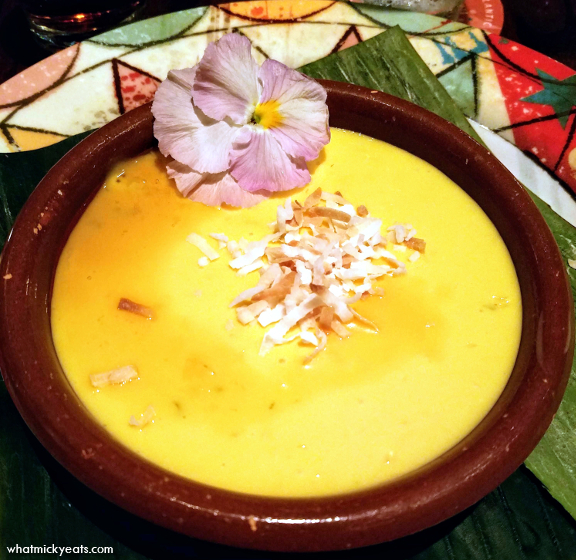 For dessert we indulged in Mango Cheesecake with a coconut crust topped with summer flowers, dried coconut, and rum sauce. Paired with Brugal 1888, the vanilla and coconut notes were highlighted by the limited series dark and spicy rum. 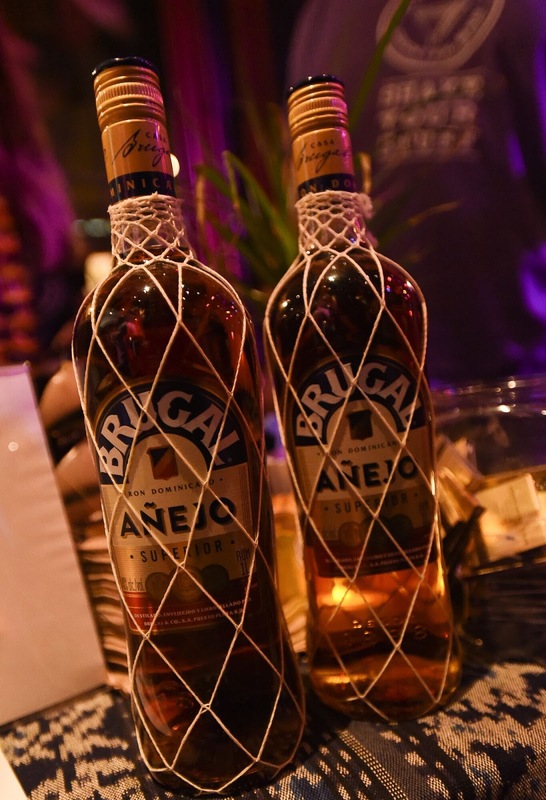 Throughout the evening, we learned the history of the Brugal distillery, which has been producing farm-to-bottle, distilled, triple-filtered and aged rums since 1888. Distilling for dryness, the Brugal family method of distillation removes much of what other rums leave in, resulting in a spirit that is cleaner, dryer and less sweet. Brugal is dedicated to cask-aging every drop of their rum, using the same wood policy as the world's finest Single Malt Scotch Whiskey. Because the rum is cask-aged in the year-round heat and humidity of the Dominican Republic, maturation is accelerated, contributing to a balanced, sophisticated family of rums unlike any other. The evening of fine dining and educational imbibing was a fun way to learn about rum and how it became the most popular spirit in the colonial days of early America. 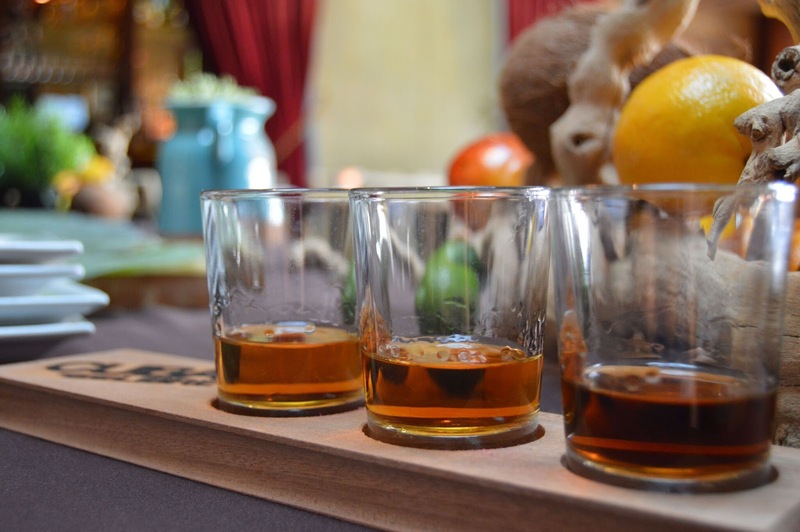 Cuba Libre is hosting a few more other rum dinners this summer for $85 per person, which includes 5 courses and all the rum you can drink. If you are a fan of rum, or even just great Cuban food then I highly recommend you check out this tasting dinner series.